Kombucha is one of my favourite drinks these days! It’s becoming pretty mainstream now, so if you’ve been in a health food store or even grocery store lately, chances are you’ve walked past Kombucha in the refrigerated section. 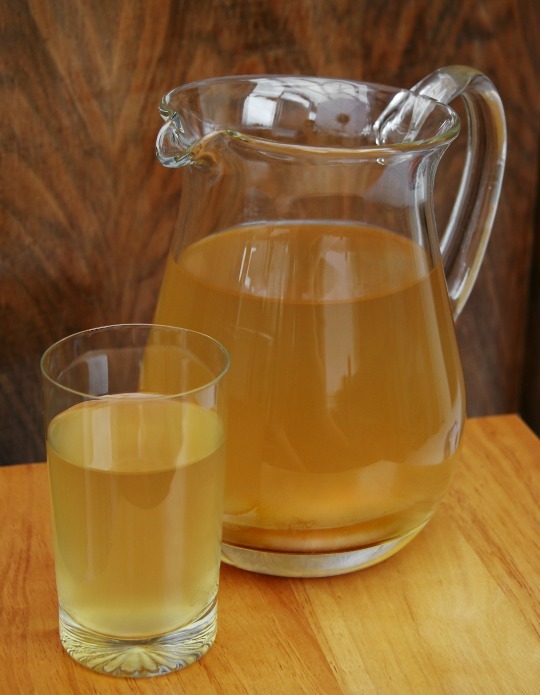 Kombucha, which tastes a bit like sparkling apple cider, is a fermented tea that has been used for years and years in helping with various different health problems. It dates back to the Chinese & Japanese cultures and has been said to been used by Chinese Emperors to cure digestive ailments. In the simplest of forms, Kombucha is made by combining a SCOBY (Symbiotic Colony of Bacteria and Yeast) also called a ‘mother’, with 3L of black or green tea, and one cup of sugar. This ‘mother’ bacteria is a combination of yeasts and bacteria and looks much like a floppy pancake, or mushroom. You can order a SCOBY online, or remove a layer of an existing one from somebody else’s. You might wonder about the fact that there is a whole cup of sugar added to 3L of liquid. Interestingly, if you have ever looked at the label of bottled Kombucha, there is actually a very low sugar content and that is because it takes 7-10 days for the tea to ferment, and during the fermentation process, much of the sugar is converted from glucose to gluconic and acetic acid. I like to think of Kombucha as delicious, liquid probiotics, and I’ve spoken many a time about the health benefits of probiotics. While there are very few studies that have been conducted on Kombucha, there are some. One such study showed that due to the tea’s acetic acid, which is formed through the fermentation process, Kombucha has incredibly strong anti-microbial properties and that can influence the gut flora, in a positive way. If you’ve been reading HEAL for a while, you know from this article the importance of balancing out good and bad bacteria, and Kombucha provides the gut with a dose of the good bacteria. Personally, I find it has helped with my digestion, and also gives me a nice little energy boost in the afternoon along with a healthy afternoon snack. You can purchase Kombucha at more and more locations. All health food stores have it, but now even some grocery stores do as well. 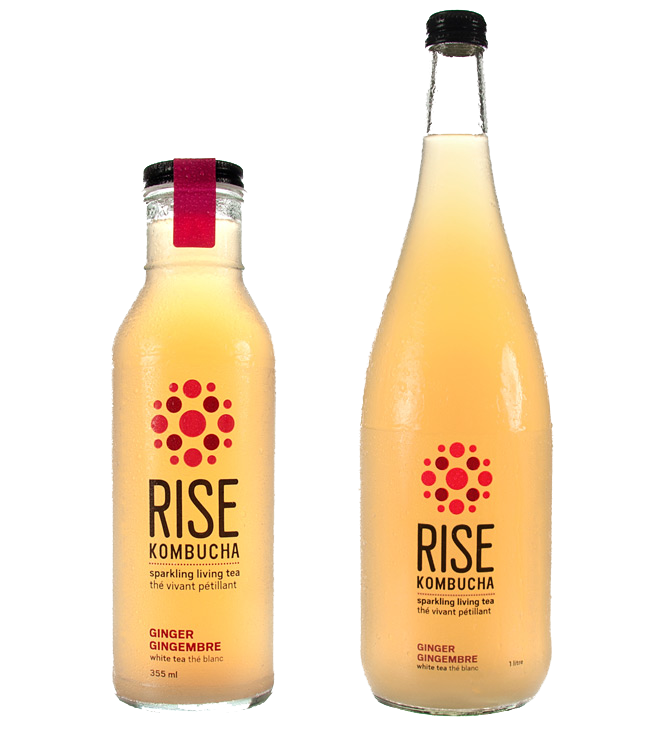 My favourite brand is Rise Kombucha, which is now very easy to find in the health food stores! It’s also located in Grocery Checkout locations too!